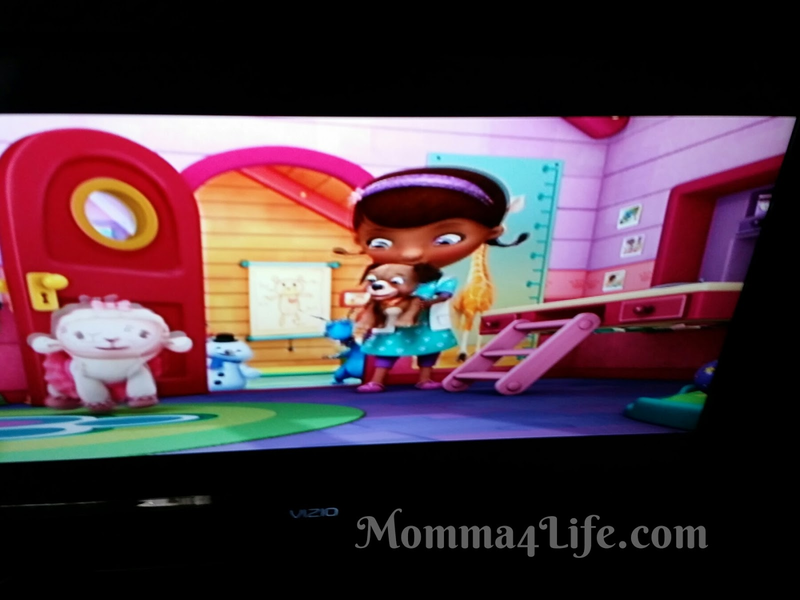 Momma4Life: Doc McStuffins: Pet Vet on DVD Out Now!! 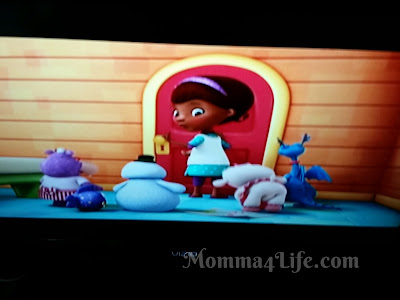 We were really excited to get Doc McStuffins pet vet when we first got it they were ready to watch it right away. I put it in for them while we were eating dinner and they couldn't keep their eyes off of it. What it's about Doc McStuffins opened a new veterinarian practice in her backyard where she treats stuff animals and shows lessons about learning how to care of pets. This DVD includes a pet collar for your child one side looks like a Band-Aid and the other side looks like a collar both kids were really excited about this. This DVD is really great for children of all ages it teaches them responsibility and other active lessons. Even my little niece that is one years old likes sitting down and watching this. Out now this is going to be a great hit for any children. Now this also will be a perfect holiday gift for any child between the ages of 1 to 7 maybe even older I know my daughter loves it and she's only six. If your child has been asking you about a pet and you've been thinking about it this DVD would be a perfect one to watch before going out and picking out a pet. So all in all the kids loved this DVD and I Highly recommend it if you have a little one that likes Doc McStuffins or possibly have never even heard of Doc McStuffins they would absolutely love this DVD. Synopsis: Doc McStuffins opens a new veterinary practice in her backyard clinic where she treats stuffed animals and toys in "Doc McStuffins: Pet Vet." 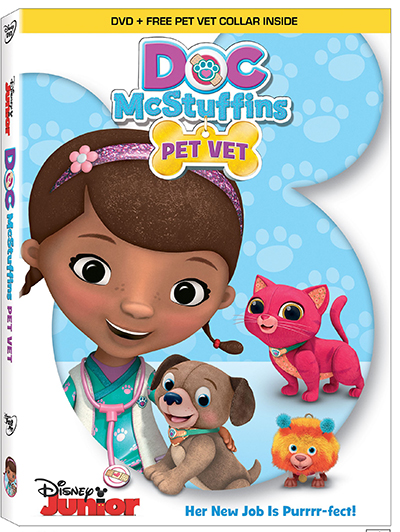 Including 5 themed episodes of the Peabody Award-winning animated series "Doc McStuffins," each highlighting lessons about care and responsibility for pets, the DVD also comes with a FREE exclusive pet collar. “Doc McStuffins: Pet Vet” is a must own for any little one! Bring it home on Tuesday, November 3rd. Cast: Kiara Muhammad and Laya DeLeon Hayes as Doc McStuffins; Loretta Devine as Hallie; Lara Jill Miller as Lambie; Robbie Rist as Stuffy; Jess Harnell as Chilly; Jaden Betts as Donny McStuffins; Kimberly Brooks as Mom McStuffins; Gary Anthony Williams as Dad McStuffins.